Halloween is the colorful holiday. 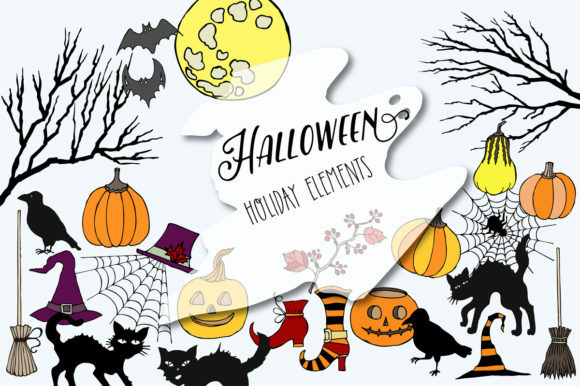 This is the set of hand drawn elements. 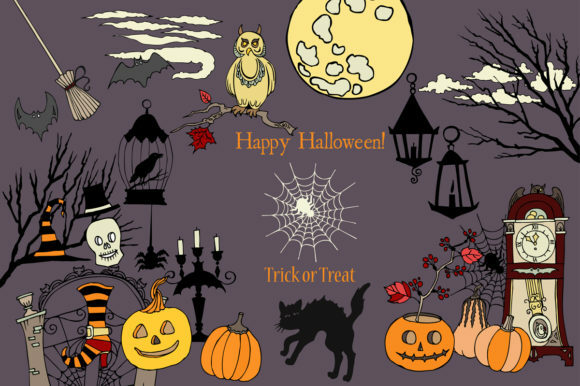 Can be used for backgrounds, cards and other decorations of Halloween holiday. 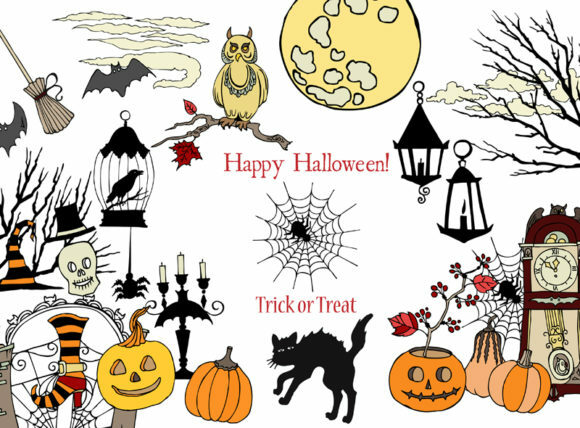 This set includes: pumpkins, cats, moon, trees and much more. All illustrations are vector-based and easy to modify with basic Illustrator knowledge.